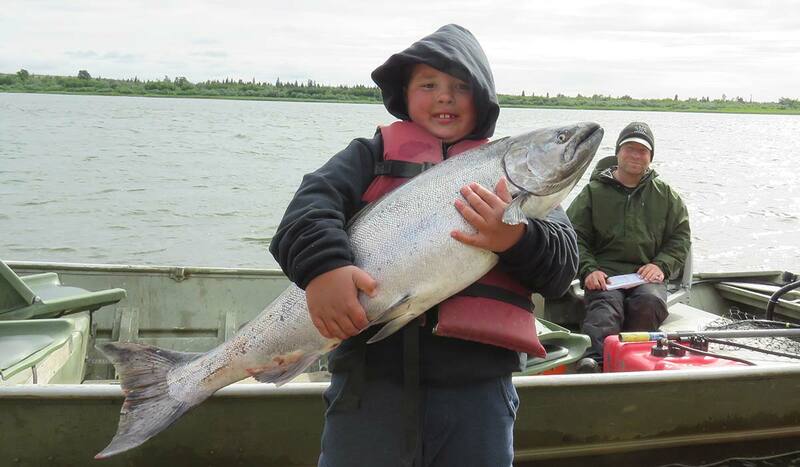 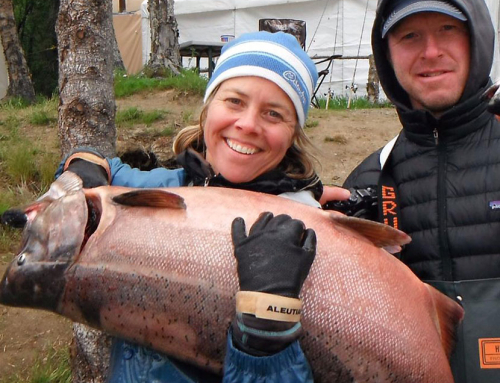 Every year we have a contest for the biggest alaska king salmon caught here at Jake’s Nushagak Salmon Camp. 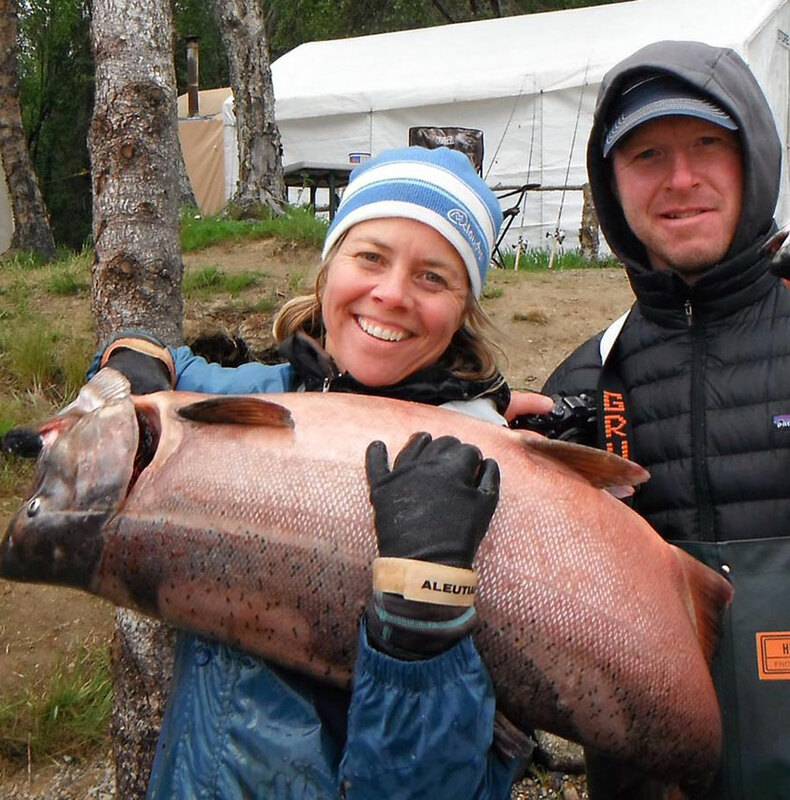 This is one of the final contestants, 35.5lbs caught by Rachael, who enters this competition yearly. 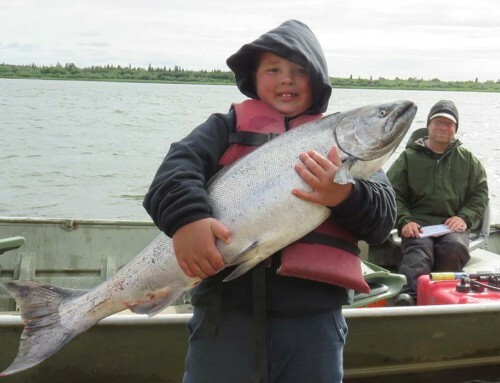 We are located in remote wilderness areas that are owned and managed by Yu’Pik Eskimo Native Corporations. 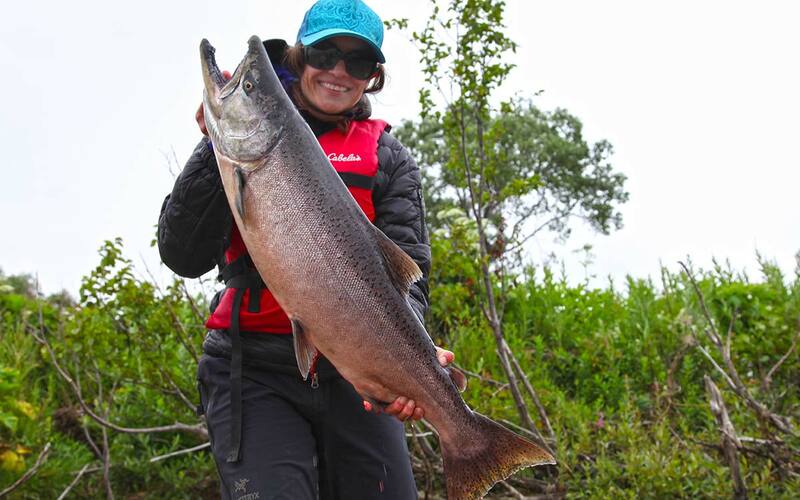 The largest runs of King Salmon in the world return yearly in a spectacular display of nature only an unspoiled wilderness can support. 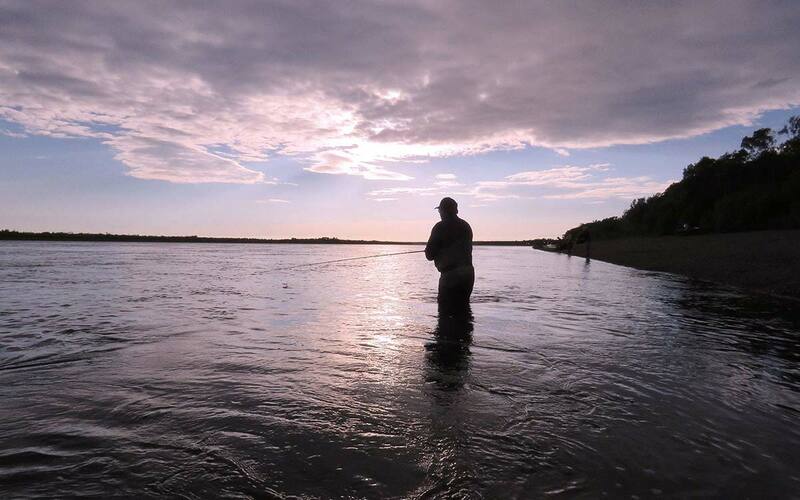 King, Silver, Chum, Reds, Pinks, Rainbow, Grayling, Char, Pike and White Fish inhabit these waters in staggering numbers. 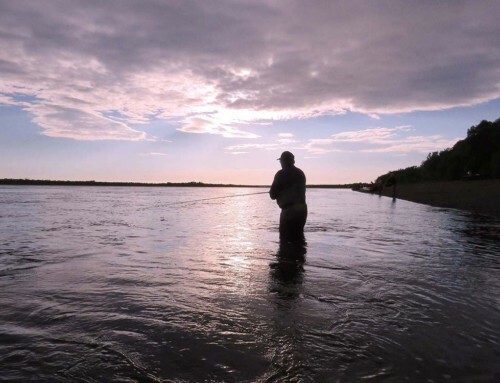 Its headwaters are famous for world class trophies of Rainbow Trout and other resident fish all supported and sustained by the largest salmon runs in existence. 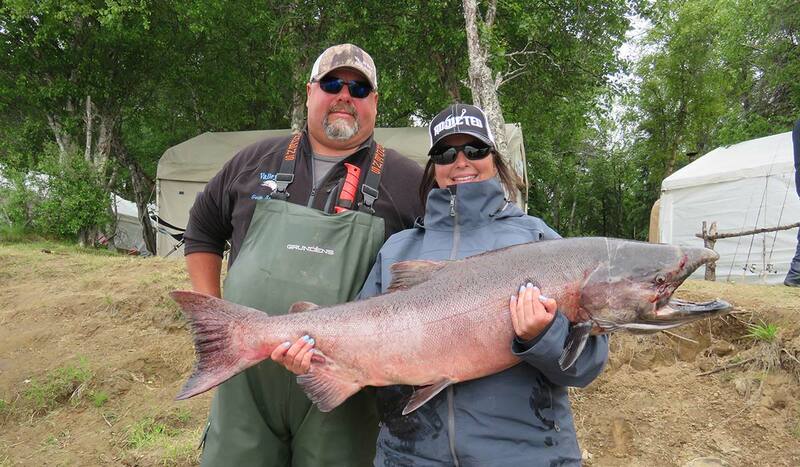 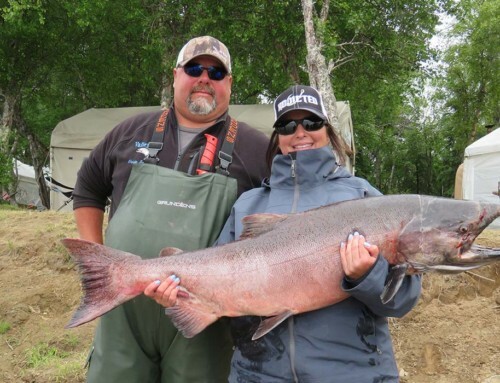 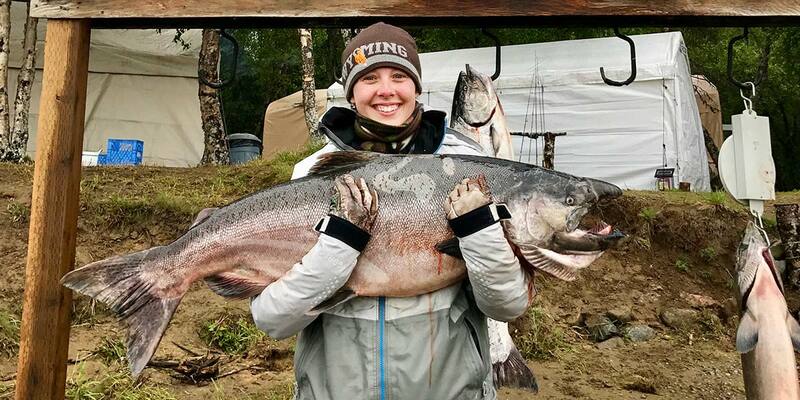 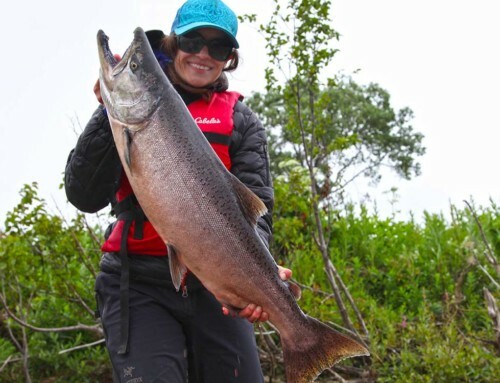 Book your Alaska King Salmon Fishing Trip today.